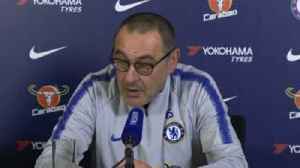 Sarri has been feeling the heat at Chelsea after they fell to sixth in the Premier League standings, were knocked out of the FA Cup as holders by Manchester United and lost the League Cup final to Manchester City last month. 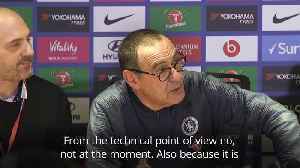 Maurizio Sarri believes the unusual situation surrounding Kepa’s refusal to come off in the Carabao Cup final has galvanised Chelsea in recent weeks. 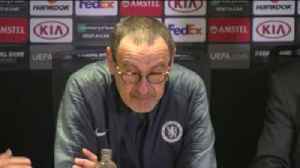 Chelsea boss Maurizio Sarri was not happy with Chelsea's slow start to the second half against Slavia Prague who surprised him with their fightback. 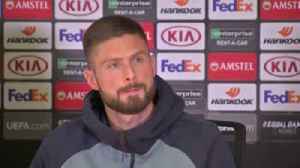 Olivier Giroud is uncertain if he will be at Chelsea next season and confirms he has received offers form other clubs. 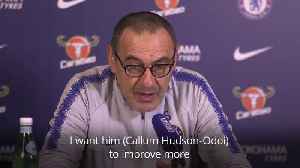 Maurizio Sarri has suggested Callum Hudson-Odoi is likely to start Chelsea's Premier League match against Brighton. 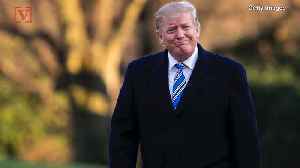 The teams will meet in the league on April 3. 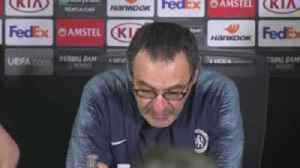 Chelsea head coach Maurizio Sarri believes he can challenge for the Premier League title while at the club.